As you can see below, I am still requesting I have an opportunity to address the complaint by Mr. Scales, even after he appears to want to withdraw. Also, attached is an affidavit signed by John Gerard, of the Election Office disputing Mr. Scales, who is a member of the GOP Central Committee. The Election Board was ready to hear this complaint this Friday and I was ready to come and refute him. I will await the Election Boards decision on whether we can proceed, despite Mr. Scales now wanting to withdraw. Mike Duckworth needs to disavow these types of election tactics or admit he was part of the plan to make false accusations. Are you telling me this is canceled or are you asking me if I have an objection to Mr. Scales request to withdraw? I do object being denied my opportunity to defend against false accusations. I have no doubt that I have complied fully with Indiana law and am prepared to prove this on Friday. Further, I have obtained information that Mr. Scales may have intentionally misled the commission in his attempt to abuse this process. The withdrawal of his false complaint at this time is another attempt by Mr. Scales to abuse this process. Due process requires that I be afforded a fair and full opportunity to defend myself. It has come to my attention that the President of the Vanderburgh County Election Board will not be present at the Election Board Hearing scheduled for this Friday. Due to the serious nature and legal complexity of the complaint I filed last Friday (attached below) I feel that it is paramount for this complaint to be heard by the Board en banc. Therefore, I hereby withdraw my complaint until which time it can receive a full review of the facts at hand. As a registered voter in Vanderburgh County, I hereby am making an official complaint against Jeff Hatfield as a candidate for Vanderburgh County Commission District 2. 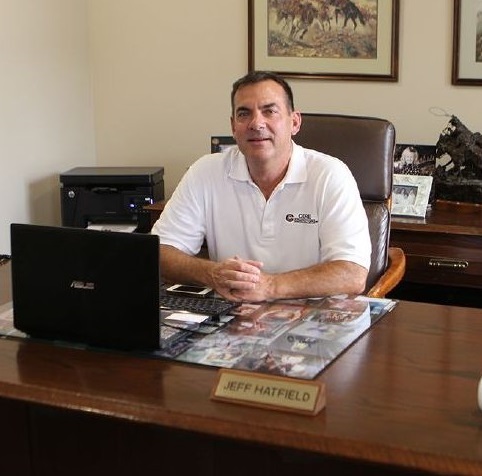 As of 3:18 pm, there has been no filing for a Committee, candidate or exploratory, for Hatfield for Commissioner. Mr. Hatfield declared his candidacy earlier today, May 11th, 2018. Around the same time, he releases to the public a website and video supporting his candidacy. Indiana Law is very clear that if funds were raised or spent in the support of a candidate for office, a committee must first be formed, treasure named, and an account established for the maintaining of those funds. Mr. Hatfield has had logos designed, videos produced, and website created, all without the proper declaration of exploratory or candidate committee. As an owner of a campaign consulting firm that provides such services, it’s conceivable that Mr. Hatfield has already spent thousands of campaign dollars without properly disclosing his fundraising and expenditures. Even if these materials were free, he would still need to disclose them as in-kind contributions and would need to have already filed his declarations. In failing to do so, his first official act as a candidate for office has been to intentionally defraud the voters of Vanderburgh County. FOOTNOTE: The City-County Observer posted the attached e-mails without opinion, bias or editing.